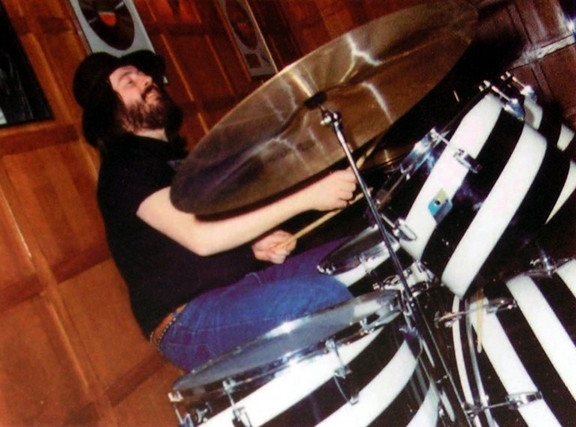 John Bonham’s Ludwig Vistalite Black & White Candy Stripe Swirl drum kit used during his time with Led Zeppelin was originally given to music critic Chris Welch by Bonzo himself. 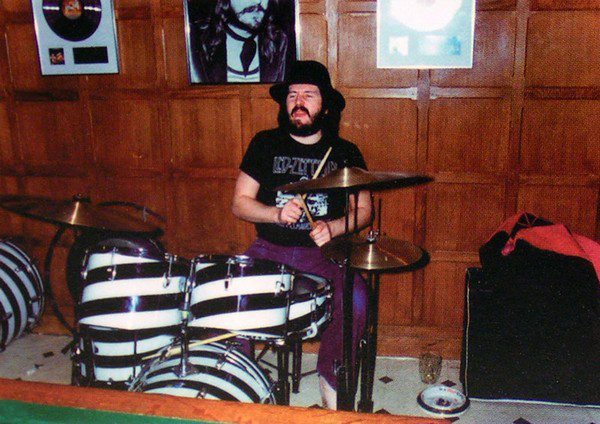 The kit is one of the only drum sets ever owned outside of the Bonham estate. 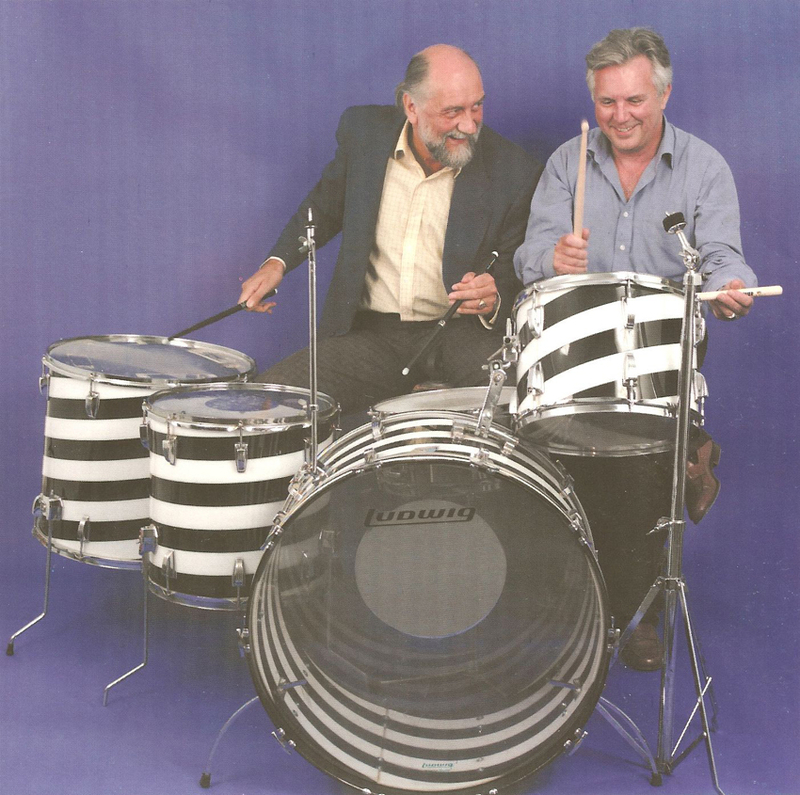 Here’s Mick Fleetwood,who some say acquired the kit from Harris before it was auctioned off on September 4, 2008. 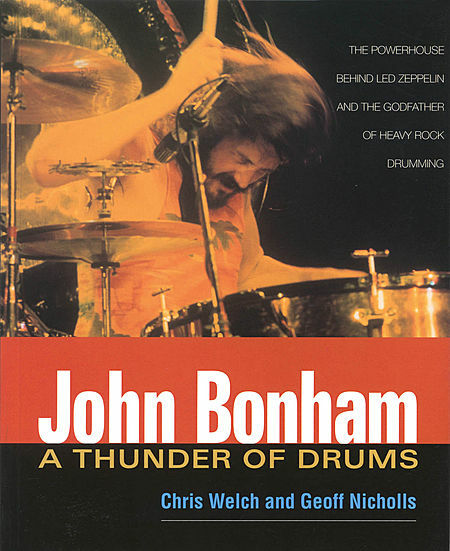 “It’s the equivalent of John Bonham’s stage kit – a 26″ bass drum, a 14″ rack, a 16″ floor and an enormous 20″ floor that’s so à la Bonham it’s unreal. It’s been used a lot, I hired it out to the Manic Street Preachers and Robbie Williams. When Robbie hired it, they set it up and put it in a studio on its own. 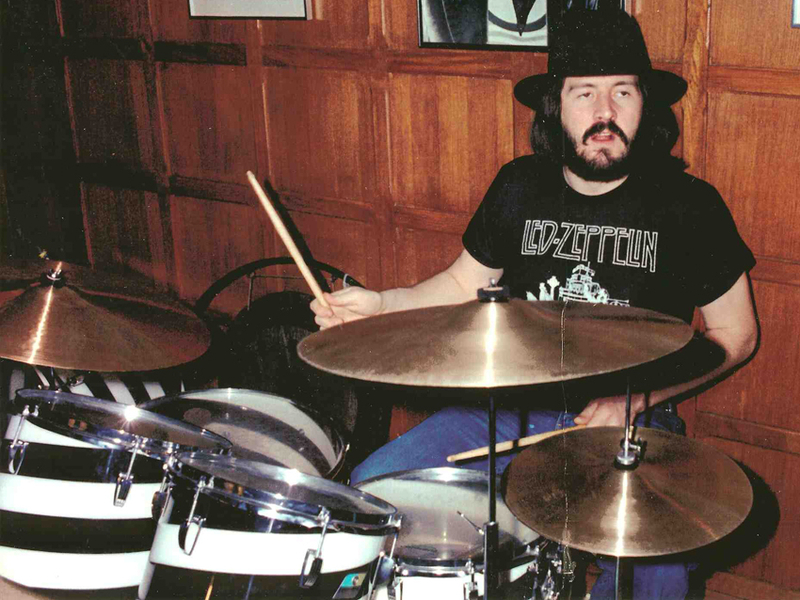 Everyone stood around looking at it in awe of the presence of the late Mr. John Bonham“. The estimated sale price was $50,000. Amy Winehouse Joins The Exclusive "Forever 27 Club"